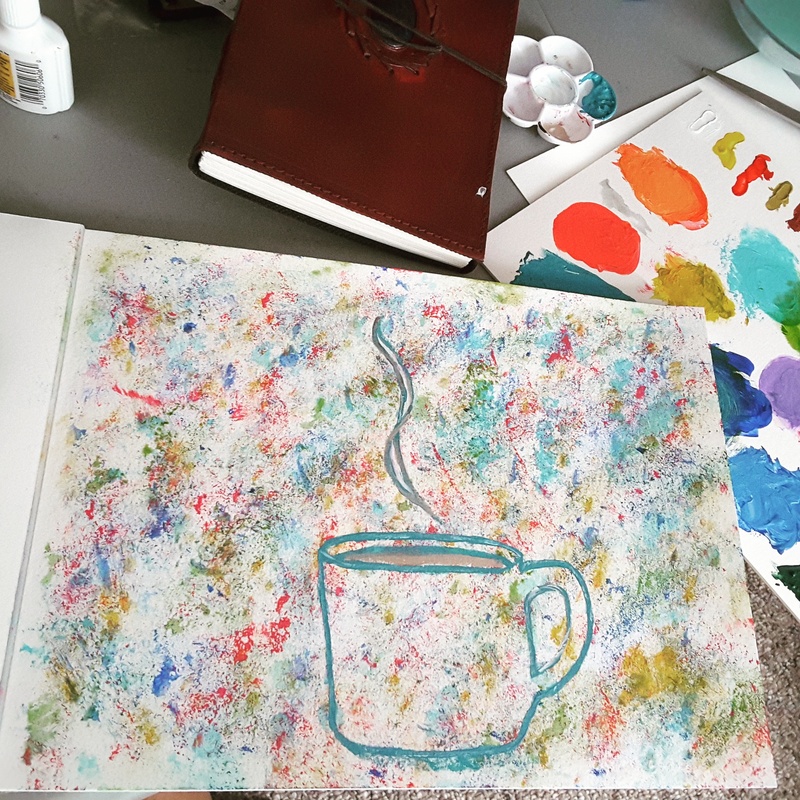 **Morning sketch/paint session**, my coffee. Maybe I’ll add the words “good morning” and hang it in the kitchen above the coffee pot for a while… Hmmm❤❤❤☕❤❤❤☕ Is it weird to hang your own work?? I didn’t think so ☺ I read alot (suprise suprise) and alot of the time, it says “don’t fall in love with your work, you’ll never sell them”. I disagree. I think if you hang and love what you do and make, your love does go into that project on a deeper level. Others will feel what you feel and will love you for the feeling they get when they look at your work. That’s how I see it. I wonder if others do too?